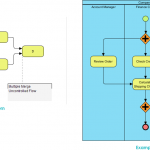 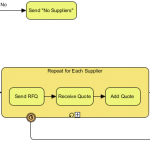 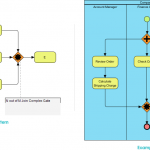 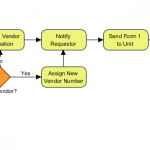 Here is a BPMN diagram example of the pattern Exclusive Choice. 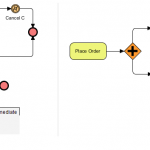 The intent is to branch from a single activity to exactly one of several paths, based on the evaluation of a condition. 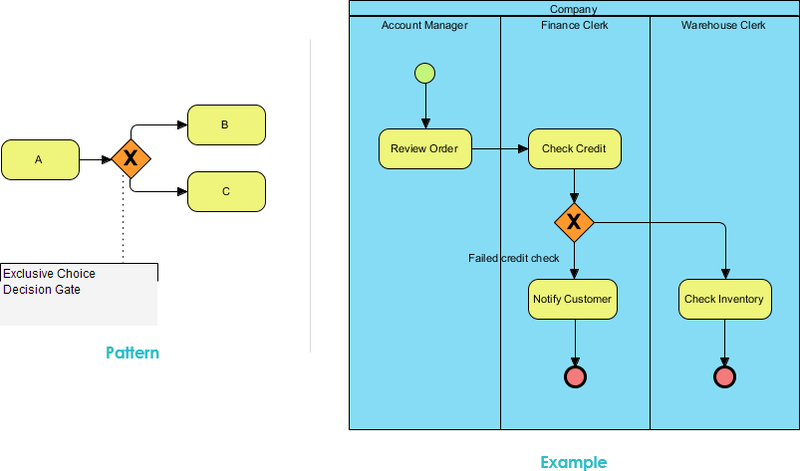 As shown in the Example, it might be determined that there are two paths that could occur after the Check Credit activity (pass or fail). 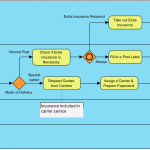 Depending on the credit score found in the Check Credit activity, the instance either flows to the Check Inventory (passed the credit check) or Notify Customer activity (failed the credit check).